In 2018, there are few people who don’t have constant access to mobile phones, tablets or smart devices. For many of us it has changed the way we do everything; recipe books are a thing of the past when YouTube can show you how in three minutes, appointments can be automatically scheduled across multiple calendars without leaving your inbox and you can even set the heating and start the oven during your commute home, in anticipation for your arrival. The universality of children and social media is one other issue. There is no denying that technology has made our lives easier and made everything just a little bit more accessible. It helps us to stay connected with loved ones all around the world, has changed the face of medicine forever and we’re just months away from being able to purchase driverless cars. However – for our children and teens, who have never known a life before mobile technology – could smart phones and social media be damaging their health? The impact of handheld technology is not seen greater than within the younger generations – there are few teens who aren’t glued to their mobile devices, computers or games consoles day after day. 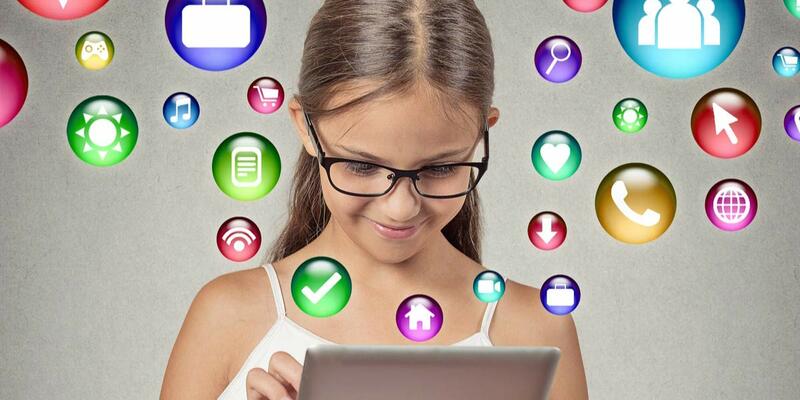 They have become their main form of communication and entertainment – with many kids spending the majority of their free time lost in the digital world. Social Media and the introduction of apps have only increased the time young people spend on their phones; competing to make “streaks” on Snapchat, editing photos in a bid to become Insta-famous or simply scrolling for hours through Facebook and Twitter feeds following the lives of their friends and their idols. Previous studies have already found that smartphone addiction can cause unhappiness and depression in teens and young people, suggesting that obsessive usage can be detrimental for their overall mental health. Most recently, researchers in California completed a study among High School students which suggested that constant consumption of digital and social media can increase the symptoms of ADHD*. The study was completed in Los Angeles County, California over the period of two years with more than 2500 15 and 16-year-old students – none of whom showed signs of ADHD at the start of the study. Researchers found that students who reported spending more time on their phones were more likely to have symptoms of ADHD by the end of study. This too suggests that an increased amount of time on digital devices can damaging to the mental health of our teenagers. A study completed in the UK last year found that over half of secondary school children said social media makes them feel less confident about their appearance or how interesting their life is, whilst two-thirds of children would be happier if Social Media didn’t exist. – And in a world where beautiful people are made famous through their “followers” is it any wonder that self-confidence will take a knock? Another recent study in the United States found that mobile phone addiction was linked to both depression and anxiety in college-aged students. Specifically, students who used their phones and the internet as a form of escapism were found to have increased symptoms of anxiety and depression, well as those who used their phones and the internet to combat boredom didn’t appear to be negatively affected by their mobile phone use. These findings suggest that a teenager’s motivation for going online is an important factor in how their mental health might be affected by increased smart phone use. Social media and mobile phones can also be a great platform for young teens to anonymously seek help, for shy children to come out of their shells and make groups of friends online or to find advice they’re too scared to ask for. Even studying can now take place through hand held devices – with schools and colleges uploading homework, quizzes and tasks via online drop-boxes, apps and portals. The world we live in is becoming increasingly technologically-advanced every single day, and it doesn’t seem to be showing any signs of slowing down – and for good reason. However, what is becoming clearer, is that there appears to be a negative correlation between the amount of time our children spend on their phones and their mental health. Monitoring how much time our children and teens spend on their phones, and online as a whole, as well as what it is our teens are doing online could be highly beneficial in slowing or stopping the development of some mental health issues, such as ADHD. Learning why our children wish to use the internet can also be important. Education, communication and even games can have a positive impact towards our children’s wellbeing, however – whilst more research needs to be done – it seems hours of scrolling as a distraction from hardships in real life could be the start of something more serious, such as on-going mental health issues. We’re all guilty of falling into the social media trap; receiving a notification, opening our phones and losing ourselves in an endless feed for a few minutes, sometimes even a few hours, but learning when to put down our phones and leave the world of social media – especially in front of our children – could make all the difference. If you suspect your child is suffering with mental health issues, it is never too early or too late to seek the advice of a professional to work out the best course of action to manage your child’s mental health and prevent further issues. *Attention deficit hyperactivity disorder – more commonly referred to as ADHD – is the most commonly diagnosed mental disorder among children. The most recognised symptoms are hyperactivity, short attention span or being unable to control impulses – which are most often picked up in a child’s early years at school.